This week, I continue my conversation with the Bug Lady, Suzanne Wainright-Evans. 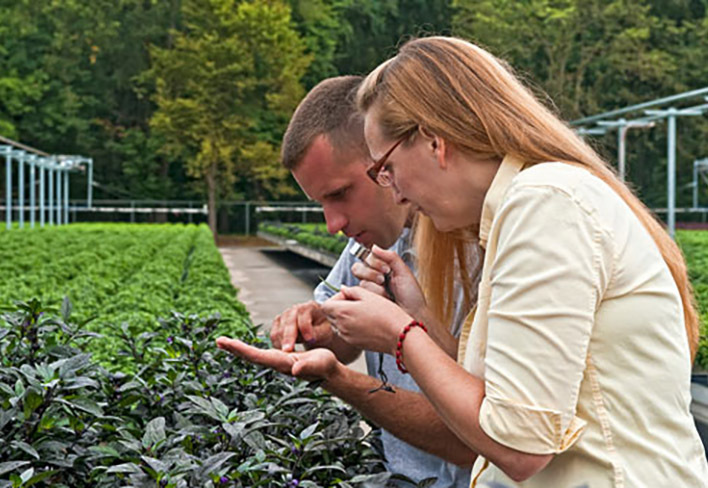 Suzanne is an entomologist and industry leader in the movement to utilize biocontrols – putting beneficial insects to work before reaching for pesticides. This is Part Two of our biocontrols discussion, so if you missed Part One, start there. 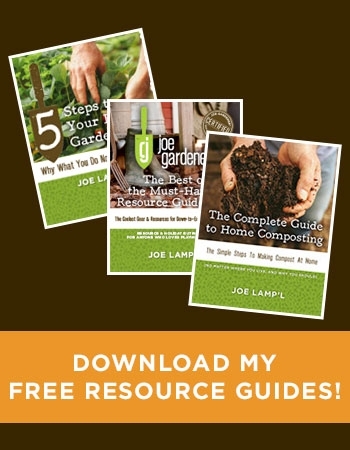 The information in Part One will provide context for you as we shift our focus from biocontrol use in commercial growing operations to explore how the home gardener can apply these same principles. There is much to cover in this episode. Suzanne is a gushing fountain of information. But before we dive into all that she had to share, let’s just start with the fundamental principle. Why is all this so important? As a society, we are still largely bug-phobic. If – when you spot a bug in your garden – your first impulse is to snuff it out, consider the bigger picture. Let’s think through this natural process at work. Consider the aphid. The aphid eats tomato foliage. Then, the aphid reproduces and makes lots of baby aphids. Lots of baby aphids eat lots of tomato foliage. Now, you have a problem. The aphid is eating tomato foliage. Enter the beneficial syrphid fly. (Never heard of a syrphid fly? More on that coming up.) The syrphid fly reproduces and lays its egg inside the aphid. That egg becomes larvae which eats the aphid. The aphid dies. The larvae grows and becomes an adult syrphid fly. That syrphid fly continues to reproduce and create new generations of garden hunters. 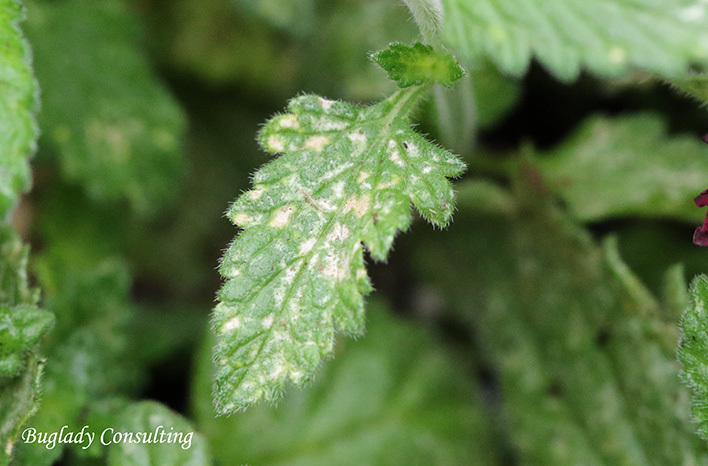 The aphid victim – not so much. As new aphids are brought into your garden – through new plants, the wind, etc – the syrphid flies are in place to take them out. Now, you have balance. Hopefully, that clarifies why “treating for bugs” – which will likely kill the syrphid fly as well as the aphid – doesn’t solve your problem. When you kill a beneficial insect, you inherit their job. No home garden is bug-free. Pests are an ugly fact of life in gardening. Fortunately though, some of the bugs in our gardens are the good guys. These good guy beneficials are your best line of defence against the bad guy pests. Many gardeners hear the term “beneficial insect” and thoughts turn to butterflies, bees and lady beetles (aka ladybugs). Actually, the spectrum of beneficial insect life Is much more diverse than most of us realize. Some of the least known good guys in the garden are the most effective weapons against pests. 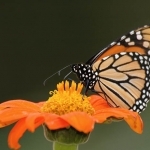 Butterflies and bees pollinate our plants – skimming from flower to flower spreading pollen and joy in their wake. That’s important, of course – pollination is a key requirement in the fruiting process of most plants. Yet, butterflies and bees don’t reduce pests. There is a whole world of beneficials that pollinate but that also feast on a more savage meal, thank you very much. 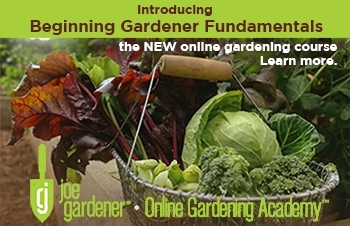 It isn’t pretty, but their activity will provide as much – or more – advantage in your garden. 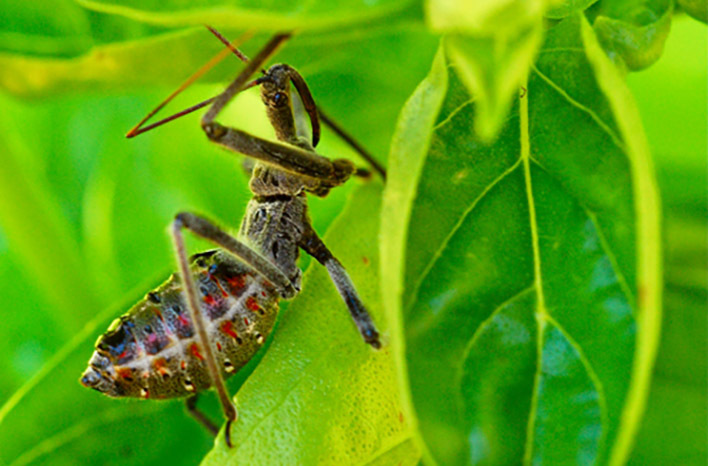 This wheel bug nymph may not be as cute as a butterfly, but it can provide more benefit in your garden. It will hunt soft-bodied pests like Japanese beetles and cabbage worms. There are many bugs, like the orius insidiosus – aka the Pirate Bug – which pollinate in their adult form, but their larvae and immature form feed on pests. The orius insidiosus is native to the U.S. and is a common and powerful pest-fighting partner in American gardens. You may not know they are there, but they are working for you nonetheless. Many varieties of flies are also hard-working garden beneficials. They pollinate as much – and sometimes more – than bees. Meanwhile, their immature offspring feed on bad guy bugs; such as thrips, tomato hornworm, stink bugs, and Japanese beetles. Some of these beneficial bugs aren’t pretty. There are some ugly good guys out there, but as they say, don’t judge a book by its cover. Identifying a bug correctly is extremely challenging. Think you can snap a photo of the bugs on your favorite plant and figure out what you are dealing with through the internet? Think again. Bugs can be remarkably similar in appearance. There are many inaccurate resources – and lots of mis-identified bugs – on the internet. Did you know that many pictures of bees on the internet are actually photos of syrphid flies. Adult syrphid flies, like bees, eat pollen. With their yellow-orange striped bodies, they can be difficult to discern from a bee – until you pay close attention to their wings. Bees have two pairs of wings. 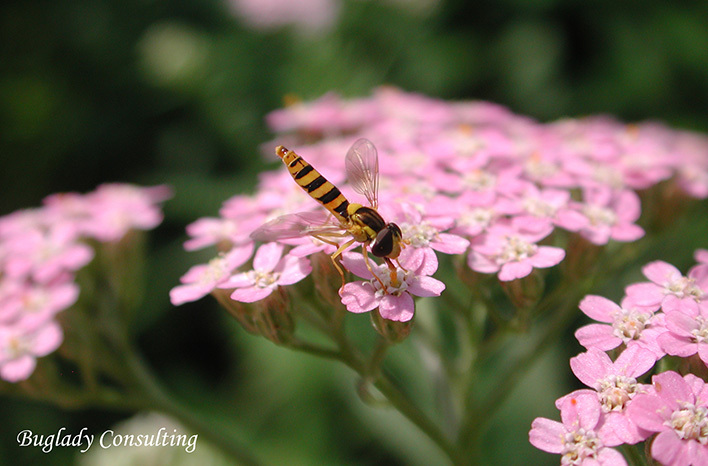 Syrphid flies (aka flower flies) have just one pair. You want these guys in your garden, since syrphid fly larvae are voracious hunters and feed on many varieties of garden pest. 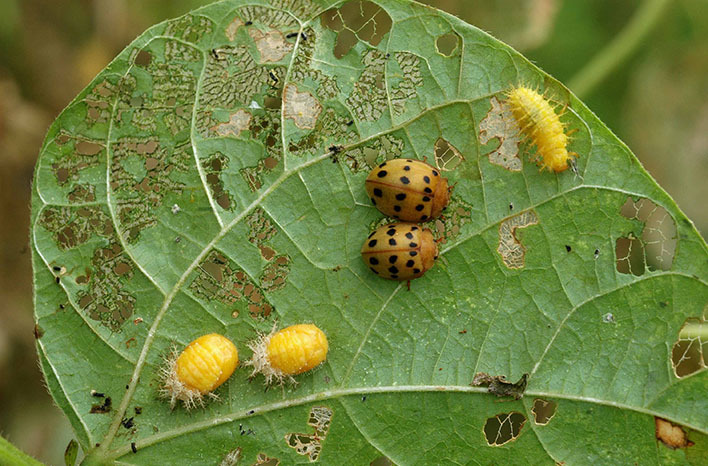 Identifying bugs properly can also be complex since their appearance changes dramatically throughout their growth phases – egg, larvae, pupa, and adult. At any one time, you will probably have – not only many bug types – but many bug growth stages throughout your garden too. Grubs are a common site when we dig in our turf or garden beds, and many gardeners jump to the conclusion that these are Japanese beetle larvae. Yet if you reach for a Japanese beetle treatment, you may be doing more harm than good. 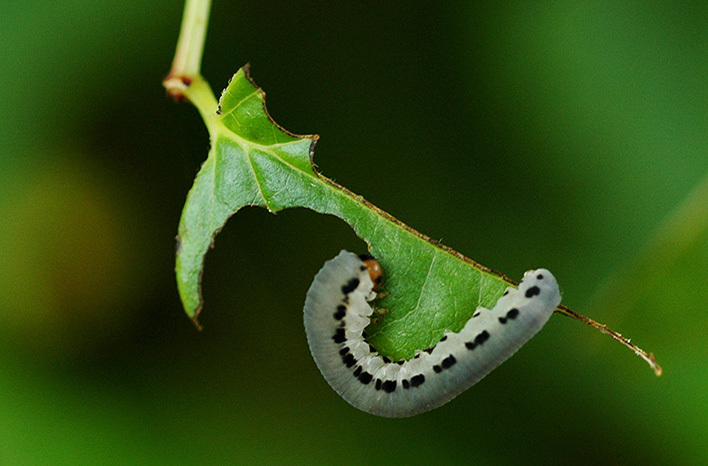 There are many grub varieties and having some grubs in your soil is not detrimental. They provide some aeration benefit, and they’re an important food source for birds and other members of your little ecosystem. The fundamental lesson here is simply to pause and think about the situation. Do a little research to determine if you really need to do anything at all. There are many beneficial wasp varieties which will go into the soil and parasitize grubs, keeping grub population down naturally. 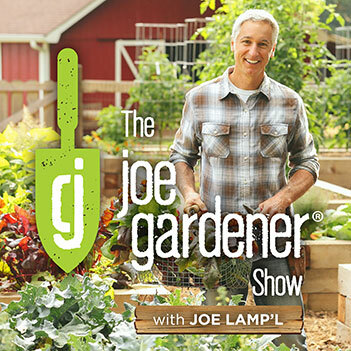 If things are off balance and you have a genuine grub problem, Suzanne recommends Beetle Gone, which is a bacteria that targets only the grub stage of Japanese beetles. For any treatment that you use, careful selection and application to prevent harming beneficials will pay dividends in the long run. If you do turn to the internet to help you with bug identification, stick to reliable resources. As with most industries, there is lots of false information on the web; so turn to university websites, extension services and well-known trusted experts in the field. Suzanne also provides a list of great resource books on her website. So you want more beneficial insects in your garden, right? I sure do. What’s the best way to achieve that? Many well-intentioned gardeners purchase praying mantis or ladybugs thinking they are doing the right thing by releasing more beneficials into their landscape. Unfortunately, this can be a waste of money and can actually cause harm. Praying mantis available for purchase are not native to the Northern Hemisphere. Also, praying mantis hunt by sight. They perch on foliage and wait for insects to fly by and become dinner. Those flying insects are, primarily, pollinators. So by releasing praying mantis, you are actually reducing your population of beneficials. Praying mantis can even take down hummingbirds. 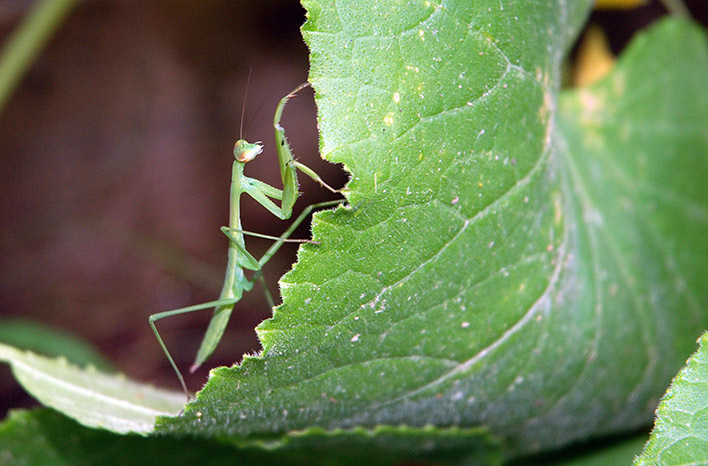 If you have native praying mantis in your garden, don’t take them out – just don’t bring in non-native species. What about ladybugs? 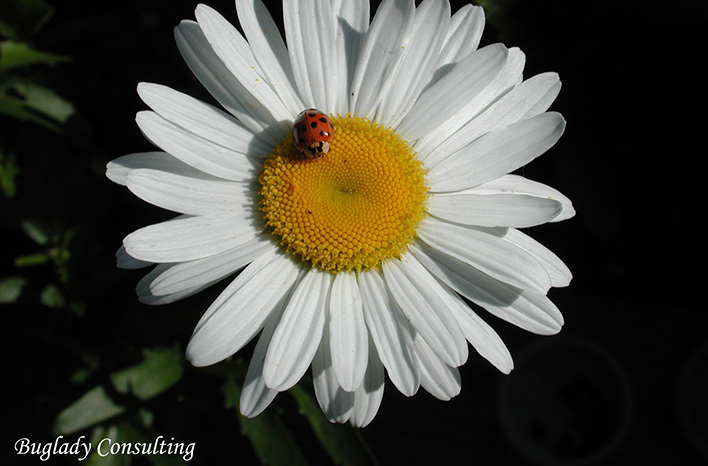 They are great beneficials in the garden, but purchased ladybugs are a bad option. These insects are gathered – correction, vacuumed – from the Sierra Nevadas. The “harvest” of ladybugs in the wild is actually recognized in the European Union as a non-eco-friendly option and is illegal. Meanwhile in America, the vacuumed ladybugs are stored in refrigeration until purchased and shipped. This keeps the ladybugs in a hibernation state. By the time you release them in your landscape, they are active, but they usually have no interest in eating. So, most of them will fly off – for good. Because they are gathered in the wild, they may also carry diseases which can kill the ladybugs native to your area. So – not much encouraging news when it comes to purchasing ladybugs. There are some other good guys worth buying. 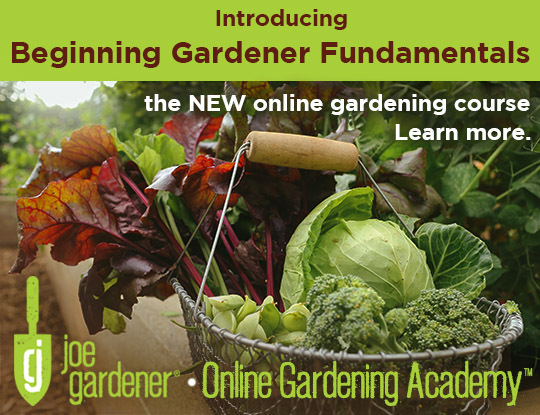 When you buy anything for your garden, take the time to learn what you are buying and buy smart. Green lacewing larvae are one wise option. They are native to the U.S., and they feed on any soft-bodied insect – in other words, many types of pests. As a bonus, the adult lacewing is a pollinator. If you buy insects, purchase them from an insectary. Insectaries breed and package the good guys in a lab environment and are your most reliable resource. Suzanne recommends Green Methods or BioLogic, which offer biocontrol treatment packaging sized for homeowners. Biologic and Green Methods are also resources for questions. If you have a pest issue, they can offer advice and treatment options. You can also purchase beneficial nematodes. 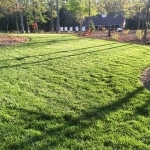 Like commercial growers, you can add the beneficial nematodes to a hose sprayer, and spray them onto your landscape. The nematodes will go to work on pests in your soil. Have a problem with pests on your houseplants? Add nematodes to your watering can and water them into your houseplants. They will eliminate your household pest infestation pretty quickly and keep the problem in check. Bear in mind, these are living things, so if you purchase, pay attention to the packaging. Whenever possible, apply beneficials as soon as you receive them, but if you need to postpone for any reason, the packaging will tell you how long the beneficials will remain viable. Time for a reality check. Purchasing biocontrols can be really expensive, and as Suzanne points out, those beneficial insects are already all around us – somewhere. So, why not lay out the Welcome mat and begin to think of your garden as a Beneficials B&B. How do you draw beneficial insects to your garden? 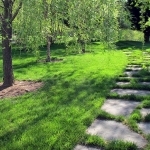 Increase your landscape diversity. Studies have shown that beneficials of all types are drawn to landscapes with varying height and texture. 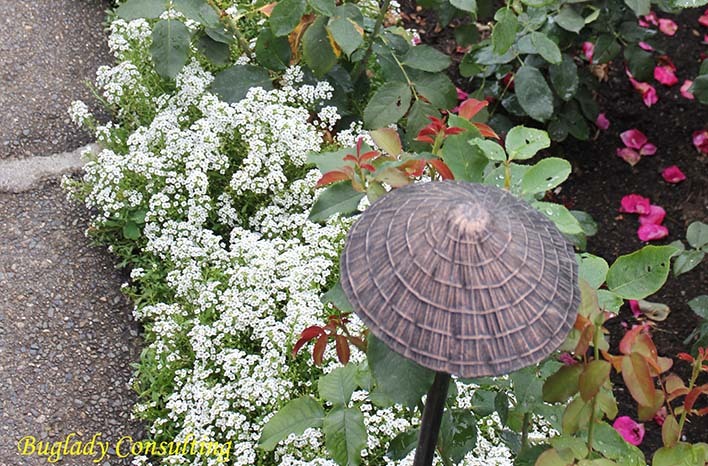 One of Suzanne’s favorite beneficial attractors is alyssum. She places alyssum between her tomatoes and throughout her landscape to draw in the good guys and reduce her pest issues there. Nasturtiums, yarrow, dill, and shasta daisies are some other great draws for the good guys. 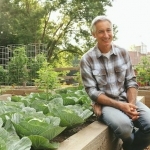 Orderliness in the garden may be working against you. Mix things up. Let some elements remain unkempt. You will see a natural increase in beneficial populations. Did you know that not all pollen is created equal? Just because we may be drawn to a showy bloom doesn’t mean a beneficial insect will follow suit. Most people flock to petunias, but those won’t help you bring in beneficials. Pollens are different – even among the same plant families. Ornamental peppers are being used by commercial growers to attract beneficials to fight against crop pest issues. Growers turn specifically to just Black Pearl and Purple Flash. Why? It’s the pollen of those two varieties which is the most beloved by the beneficial orius insidiosus. Other ornamental peppers may work too, but none are as effective as Black Pearl and Purple Flash. Marigolds, on the other hand, attract the bad guys. 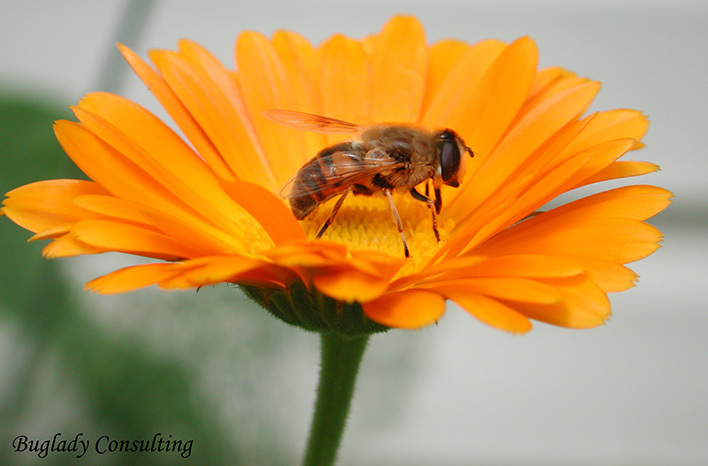 It’s a garden myth that marigolds will attract pollinators. Instead, they’ll attract problems. Sorry marigold lovers. Does all this seem complicated? It can be. I believe we all want to make good choices – we just might not know where to turn for good information. Fortunately, there are reliable resources available to guide your efforts. If you are a regular listener to The joe gardener Show, you may remember an episode with Eric Mader of the Xerces Society. The Xerces Society has put together a comprehensive, regional list of plants that draw in pollinators. They’ve made this easy for you, so be sure to check out that resource. 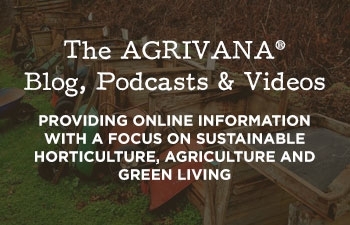 You don’t need an acre to promote beneficial insects. All you really need is a little patio or balcony space and a good mix of container plants that are known for being popular with pollinators. It won’t hurt to spread the word to your neighbors either. Every little plant helps. Just as important as planting diversely is being smart with fertilizer. Over fertilization may be creating pest issues in your garden. Texas A&M found that reducing fertilization on roses and mums reduced pest problems – but the roses and mums were just as robust. It’s easy to be heavy-handed with fertilizer – maybe you don’t feel like measuring or think that if a little is good, more will be better. 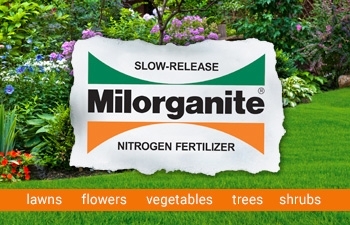 Yet – fertilizer can cause more harm than good. If you’re struggling with pests, re-examine your fertilization efforts and consider cutting back or using organic nutrients instead. 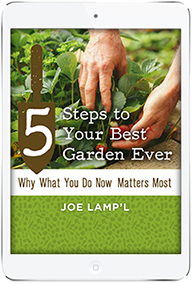 It’s not an overstatement to say that single change might solve your garden pest issues and allow your beneficial insect population to gain the upper hand. Plants were designed to sacrifice some of their foliage to being eaten. Having a few pests provides an important food source for your garden ecology. You’ve got pests in your garden right now. So do I. The question you need to ask yourself is, do I have a pest problem. One pest – even a few pests does not constitute a pest problem. Our gardens are a natural ecosystem, and we need to grow accustomed to the idea that some bad guys in the landscape is natural and acceptable. Aphids on your tomatoes shouldn’t send you running for bug spray. Give nature a little time. There are ladybugs, syrphid flies and other good guys who are looking for a meal. Odds are good that they will move in and take the aphids out – at least most of them. It’s the bug spray that will throw things out of whack. If you don’t like that idea and feel more comfortable treating for pests as a proactive measure, you are doing more harm than good. Beneficial insects are also killed in the process, so you intensify pest problems – it’s called “insect flare-up.” Suzanne stresses that the number one thing you can do to create a pest problem in your garden is to spray a broad spectrum pesticide. The beneficial insects are often more sensitive to the pesticide than the pests themselves, which have built up some resistance. Not all commercially-available pest treatments are broad spectrum. Also, not all of them work. A classic example is the Japanese beetle trap. If you’ve purchased these yellow traps, you have been a victim of marketing, but you sure aren’t alone. These popular little items will worsen your Japanese beetle problem. The traps attract male and female beetles, drawing more of them in to your garden to do damage. Meanwhile, the females have time to lay their eggs in your landscape. Avoid Japanese beetle traps – at least until a truly effective trap is invented. On the subject of treatments, are any worthwhile? Yes – if a problem can’t be managed with biocontrols, you may need to turn to a commercial treatment. Before you pull out your wallet, try a time-honored approach. As I spend time in my garden and spot pests, I’ll just pick them off with my fingers and squash them. It’s a cheap pest management system, and it’s certainly effective. 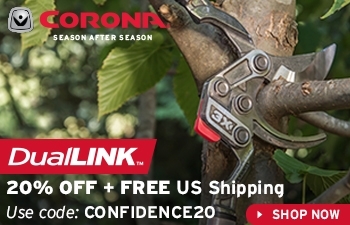 Alternatively, pull out your garden hose. Just spraying at the insects with your garden hose can be an effective pest treatment. Don’t sweat it if you spot a few of these bean beetles in your garden. Try picking them off or a stiff spray of water. Only if they get out of hand should you begin to consider other treatment options. If physical removal doesn’t cut it, horticultural oils can work very well. They are readily available and don’t damage plants. These oils work by clogging the breathing holes down the sides of insect bodies and suffocating the bug (or egg). Horticultural oils can kill beneficials, so be careful how you apply them. However, their killing properties aren’t long lasting, so they can take out a problem but allow beneficials to move back in pretty quickly. Insecticidal soaps are another good treatment tool. They work as a desiccant – drying the insect up. Again, these will have just as much impact on the good guys as the bad, so apply with that in mind. You, like me, have probably seen many recipes for a DIY insecticidal soap. As it turns out, these homemade concoctions can cause phytotoxicity. You can’t see it – it’s undetectable to the naked eye – but it’s there. That damage stunts plant growth and makes the plant susceptible to more pest attack. Commercially-available insecticidal soaps have unique carbon chain links which do not cause phytotoxicity, so this is one case where store-bought is best. It’s not worth saving a few bucks to damage the plants you are trying to protect. Okay – see what I mean? There is so much to share on biocontrols. I’ve barely scratched the surface, but this issue of show notes goes on and on. Perhaps another resource guide is in order? Stay tuned. 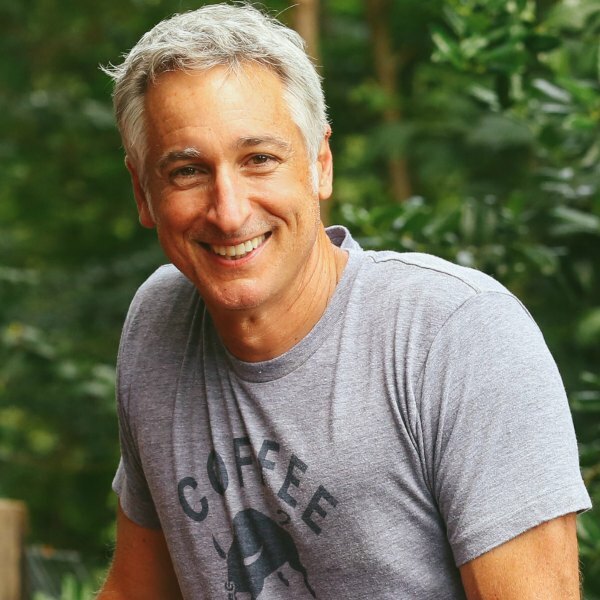 For now, I cannot recommend enough that you scroll to the top of this page and click to listen to the podcast itself. 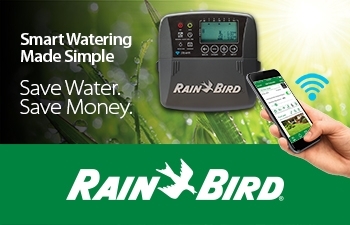 Suzanne provides many more facts and fascinating details at rapid-fire pace – topics like mosquito treatment, which insect traps do work, the “old men flies” that could help you fight Japanese beetles, and lots more. Plus, she’s a lot of fun too. Check plants you buy – A few pests don’t need to be a deal-breaker, but avoid any plant with scale insects or root pests. Avoid plant stress – Planting the right plant in the right place will reduce pests, because the bad guys always target the weakest victim. Recognize that you may not have a problem – Are those bugs friend or foe? A small population of bad guys does not indicate a problem. Identify the problem – Which pest are you dealing with? Decide if treatment is necessary – Can the problem area be pruned out? Will beneficials take care of the problem on their own? Can a stiff spray of water wash them off? Will insecticidal soaps or oils be effective? If treatment is necessary, choose wisely – Look for a pest-specific choice or, if you use a broad spectrum product, be smart about where and how you apply it. Gardening is not about shortcuts – it’s about taking time to do things the right way. When it comes to bugs, take a moment to think about what you’re doing. Everything you do in your garden has an impact. 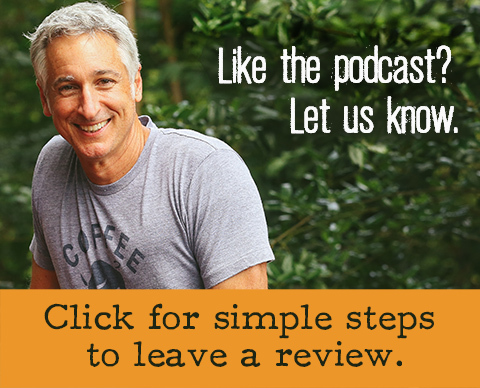 If you’re hungry for more – check out Suzanne’s website for information and suggested reading, check out my podcast with Eric Mader, and check out the Xerces Society website.